10 Different Pizza Crust Varieties: Which is Best for You? This article was originally published in December of 2015 and has been updated for 2018 to include 10 crust varieties. As every pizza maker knows, pizza has a long and storied history. And while there’s a little debate over who actually made the first one, there’s a general consensus that it happened some time during the 1800s in Naples, Italy. Since then, chefs from all around the world have created their own take on this popular dish, each bringing something new and interesting to table. 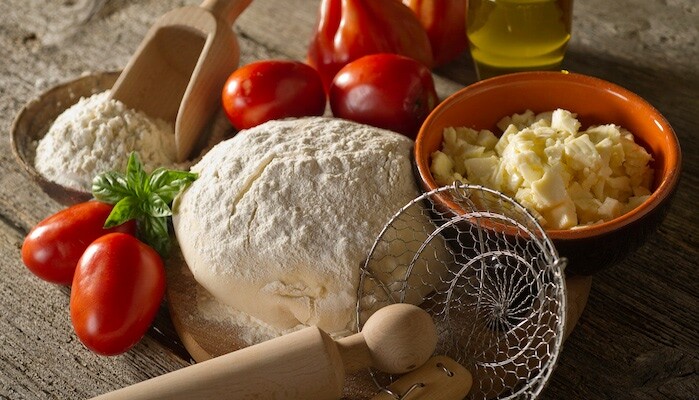 Whether it’s a Chicago-style deep dish or a California flatbread with calamari and basil pesto sauce, pizza has taken on many different forms since its original inception — especially when it comes to the crust. As the foundation of both the pizza itself and the recipe used to make it, the crust has always been a main target for pizza innovation due to its ability to entirely change the dynamic of a pizza. Not only does it help dictate taste, texture, thickness, and topping selection on your pie, but it also affects the presentation and appearance as well as your prep work and baking. For pizza makers who are creating or expanding their menu, experimenting with different crust types is a great way to generate interest and buzz around new menu items, and can help draw new customers to your locations. Neapolitan Pizza — Getting back to our history lesson from above, Neapolitan pizza is credited as being the original Italian pizza. Characterized by its light, slightly crispy texture, Neapolitan pizzas must meet a very specific set of requirements in order to truly be considered an authentic Neapolitan. A true Neapolitan is baked in a wood-fired, domed oven with dough that must be hand-kneaded (no mechanical preparation whatsoever! ), no more than 35 centimeters in diameter, and no more than one-third of a centimeter thick at the center. 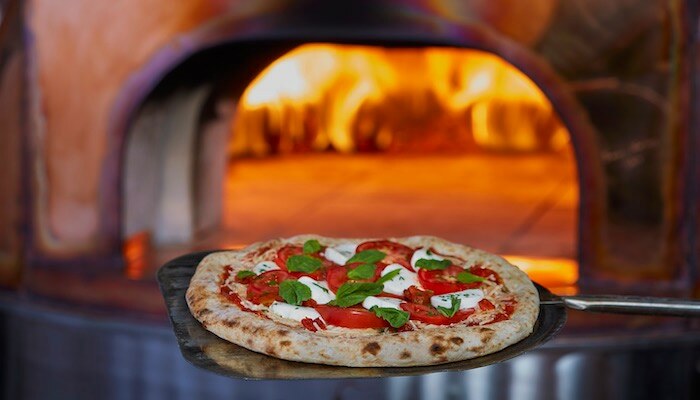 Classic styles include the Margherita and Marinara, and given the impossible-to-replicate flavor and texture of Neapolitan crust from a wood-fired oven, this is the perfect crust for those who want an authentic Italian pizza. New York-Style Pizza — Often sold by the slice in big, wide wedges, New York-style pizza has been the trademark pizza style of the Northeast U.S. since the early 1900s, with regional variations also existing across the country. New York-style crust is slightly crispy on the outside, yet soft and pliable enough to fold the big slices in half, making it easier for customers to eat. New York-style pizza crust gets its unique flavor and texture from its high-gluten bread flour and the minerals present in New York City water, which some out-of-state pizza makers actually transport across the country for authenticity. St. Louis Pizza — Another regional specialty in the Midwest, St. Louis pizza is characterized by its round, thin, unleavened, cracker-like crust and slices cut into squares or rectangles rather than wedges. This cutting style, often referred to as a party or tavern cut, is very popular in Midwestern pizza parlors and bars where friends and families can gather to share a few pies. 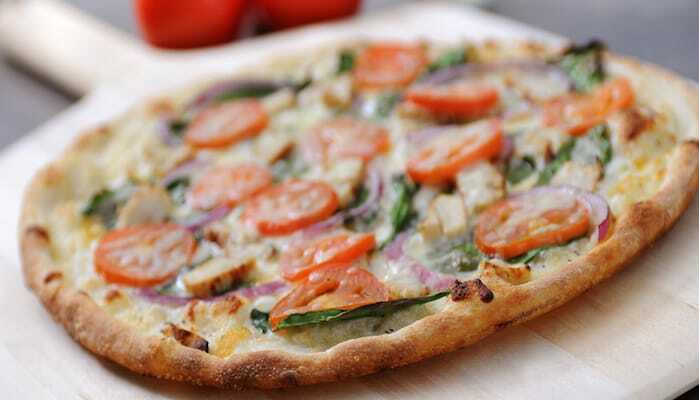 Flatbread pizza has seen an uptick in popularity over the past decade or so, as American consumers start to be more health-conscious about the foods they eat. While there is no real consensus on what constitutes a "flatbread," typically this style is lighter and airier making it ideal for appetizers and personal-sized pizzas. Because it isn’t as filling as other crust types, and makes health-conscious customers feel less guilty about eating pizza. Often times the artisan look of flatbread crust also makes them an appealing option for gourmet and trendy toppings like balsamic and spinach. Traditional Pan Pizza — Definitely not thin crust, and the least thick of the thick varieties at about half an inch, the traditional pan pizza is a happy medium for most pizza lovers. This is the style of crust that was made widely popular by Pizza Hut, and is characterized by its buttery, pan-fried taste and texture on the outside, with a soft and chewy center. It’s a crust that’s loved by people all across the country, regardless of the region, and it’s perfect for adding custom flavors. Deep Dish Pizza — Also commonly known as Chicago-style deep dish, this pizza’s deep ledge allows for a generous portion of toppings, cheese, and sauce, and isn’t uncommon for pizza slices to be up to 2 inches thick. The pies are baked in an oiled deep-dish pan to create a crispy, sometimes buttery, fried effect on the outside of the crust. The crust commonly contains corn meal, semolina, or food coloring to give it its distinctly yellow tone and add to its unique taste and texture. This style of pizza is particularly popular in the Midwest. Sicilian Pizza — Much different from the thin, crispy crust in Naples, Sicilian pizza is known for its thick, rectangle-shaped crust, often over an inch thick. Sicilian immigrants brought these recipes with them to the United States, and Sicilian-style pizzas are most popular in large metro areas across the upper Midwest and East coast. Detroit-style pizza, which has been gaining popularity in recent years, is a derivative form of pan pizza. Not to be confused with Neapolitan pizza — which is one type of pizza cooked in a wood-fired oven — wood fired crusts can come in several different varieties. The most defining characteristics of wood fired crusts are their deep, smoky taste derived from using real wood to heat the oven and light char from the high baking temperatures inside the brick or clay oven. This makes flatbread crusts an ideal choice for wood-fired ovens, but high-heat dough balls are also popular. If you don't have a wood-fired oven, you can still achieve the characteristics by using our par-baked wood fired crusts, which are par-baked in our lava stone deck oven, and then can be topped and final baked in any oven. Unlike the other crusts mentioned above, focaccia is different in that it often has no sauce covering it when it gets to your customers’ table. This thick, bready dough is infused with herbs and brushed with olive oil before baking, then covered with cheeses, herbs and spices, and minimalistic toppings, allowing the crust’s flavor and texture to shine. This crust is perfect as a meal accompaniment or appetizer, but can also be used as a traditional pizza crust for a truly unique and savory flavor. 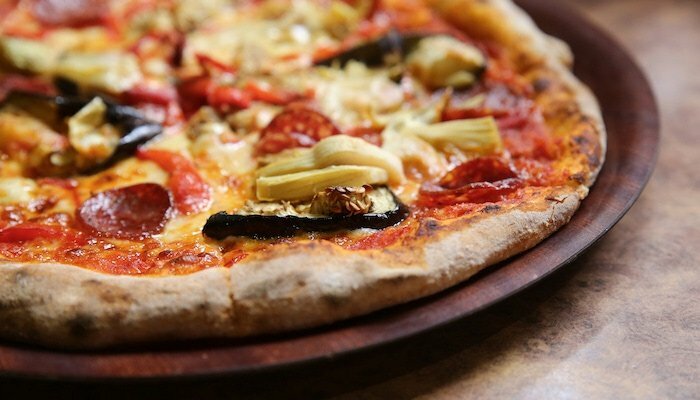 There have been a lot of innovations in the pizza industry since the turn of the millennium, but customization of the crust is arguably the biggest. With specialty flavors like cheese stuffed, toasted asiago, garlic butter, honey Sriracha, and garlic parmesan, pizza restaurateurs have expanded their options far beyond traditional pizza dough. With a custom crust, operators can kick up the flavor and distinguish their brand with flavorful recipes that are unique to their pizzerias. Ready to start experimenting with some different crust varieties? We can help! At Alive & Kickin’, we’ve been making custom pizza doughs for more than 25 years, with crust varieties ranging from one end of the spectrum to the other. We can provide your restaurant or brand with the perfect dough that’ll leave your customers wanting more. Learn more about crust varieties we offer in our comparison guide below!